It’s not pleasant when your pets pee on your carpet, clothes or hardwood floors, but it happens. After all, pets don’t understand our sanitation system. I mean, you can train them, but that doesn’t mean they’ll understand the importance of peeing in the toilet! As an experienced pet owner, I’ve learned not to take this pet-peeing thing personally. A long time ago, I accepted the fact that dogs and cats will pee on my carpet from time to time, especially puppies and kittens. However, I didn’t allow the urine stain and odor in my home and clothes, and neither should you! 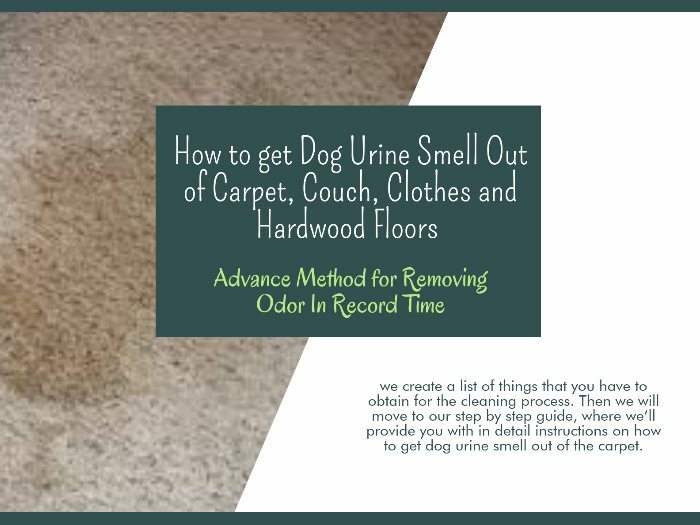 So, due to my “expertise” in the field of “carpets soaked with cat and dog urine,” I decided to share my methods publicly, with the intention of helping you get rid of dog urine smell. And just so the cats don’t fill left out, we will also explain how to get cat urine smell out of carpet, hardwood, and furniture. First, we will create a list of things that you have to obtain for the cleaning process. Then we will move to our step by step guide, where we’ll provide you with in detail instructions on how to get dog urine smell out of the carpet. Step #4: Carpet Clean That Smell! Additional Tips (How to Get Dog Urine Smell Out of Hardwood Floors)! In this section, you will find three lists for three methods. The “Like A Pro” method is the best and the most efficient way of getting rid of urine odor, but we understand that some of you don’t possess or don’t want to rent a carpet cleaner, which is why we included two additional methods. Paper towels, towels or other liquid absorbents. A pocket flashlight, a smartphone flashlight or a UV light. A detergent, preferably an enzyme-based cleaner. A carpet cleaner (rent, buy, or hire professionals to do the job for you). What is the best item for drying dog urine? Well, you can use a sponge, a disposable paper towel or an old rag. Whatever you use, make sure it is disposable. If the urine is on the hardwood, you can use the tools we already mentioned, or you can use a mop, which is a better tool for cleaning hardwoods and tiles. You have to realize that the speed is the key to effective pet urine smell elimination; the faster you act, the better your chances are of eliminating it correctly. Now, it is easy to react when your pets “perform” while you are home, but a dog or a cat might pee on your floors while you are away. Indeed, the UV light detects the phosphorus (it will glow under the UV light), an element that is commonly found in dog and cat urine. You moped up the fluid, you located the stain, and now it is time to get rid of the smell. A detergent seems like an obvious solution, but what type of a detergent should you use? We recommend enzyme-based detergents because they feature a formula that disintegrates urine stains most efficiently. Why? Well, enzymes are protein-based chemical compounds without which you, your pet and your pet’s urine wouldn’t exist. Since the pet urine consists of enzymes, using the enzyme-based detergent will assure that the odor breaks up and disintegrates. There are many enzyme-based detergents available, with different scents, strengths, and prices. You should choose according to your budget and the item you intend to clean; the last thing you want is to damage your sofa or a mattress with detergent.” Apply several times if such application is needed! 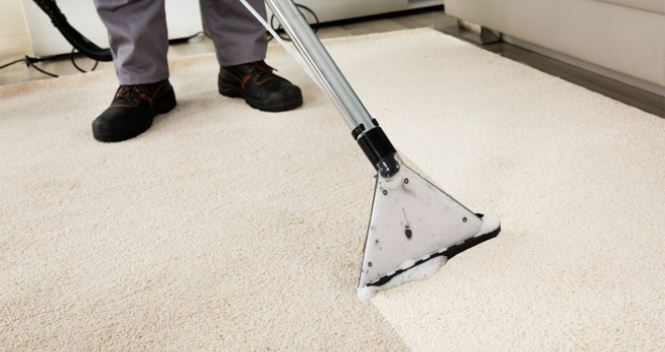 The last step requires that you either own a carpet cleaner, that you rent it, or that you hire professionals that offer carpet cleaning services. Using a carpet cleaner is the best way to get rid of the dog and cat urine smell out of carpets. Also, if you want to know how to get the urine smell out of the mattress, you should see just how efficient carpet cleaners can be! If your pets “do their business” on your floors, furniture or clothes quite regularly, consider investing in a quality carpet cleaner! Clubbed To Smell method is an instant and cost-effective way of removing urine stains and odor from your carpets, clothes, and mattresses. If you want to know how to get rid of dog urine smell using a standard club soda, continue reading. 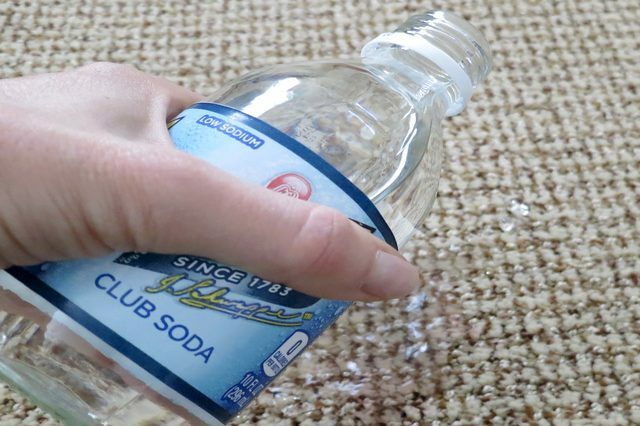 Club soda is a very popular stain remover, but it is also an excellent urine remover. As soon as you locate the stain, pour the club soda over the stain. You don’t have to flood the stain but pour just enough to cover it entirely. Now that the stain is soaked with the club soda, use the sponge and start dabbing the stain. Nota Bene; DO NOT RUB THE STAIN!!! If you rub the stain, you will only make things worse because the urine will penetrate deep into the carpet. Use a dabbing motion to collect the club soda mixed with urine; think of it as an “In and Out” mission. If you poured too much of the club soda, dab the sponge, squeeze it to extract the fluid, and repeat the process until the stain is nearly dry. 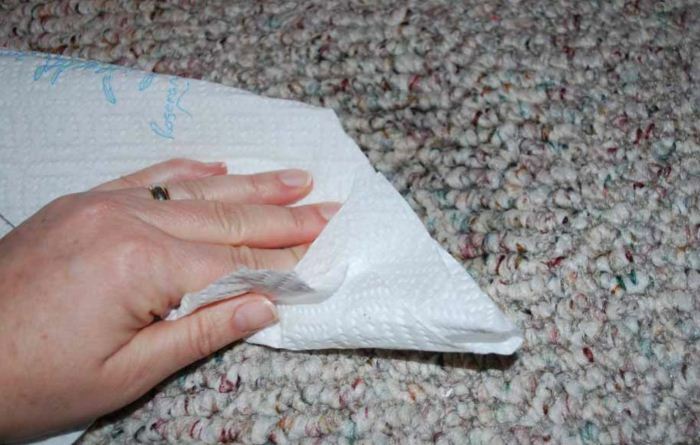 Once the stain is nearly dry, you can use the paper towels to collect the remaining fluid. Again, do not rub the stain; dab! This step is quite annoying because it doesn’t feel like you are doing anything significant, but bear with me if you want to know how to how to get urine smell out of your favorite couch! In the end, use an air refresher to negate the effect of the urine odor. And that’s it; you’ve officially removed the stain from your home using a club soda! Pretty cool, right? 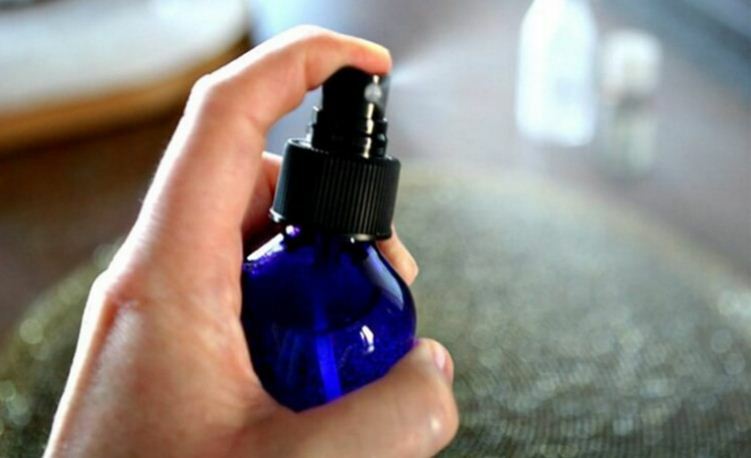 With this method, you remove cat urine smell as well as dog urine smell out of the carpet, mattresses, and furniture. The “Baking Soda Strikes Back” method includes the use of vinegar, water, baking soda and vacuum cleaner. These are all standard tools and items that can be found in virtually every home! 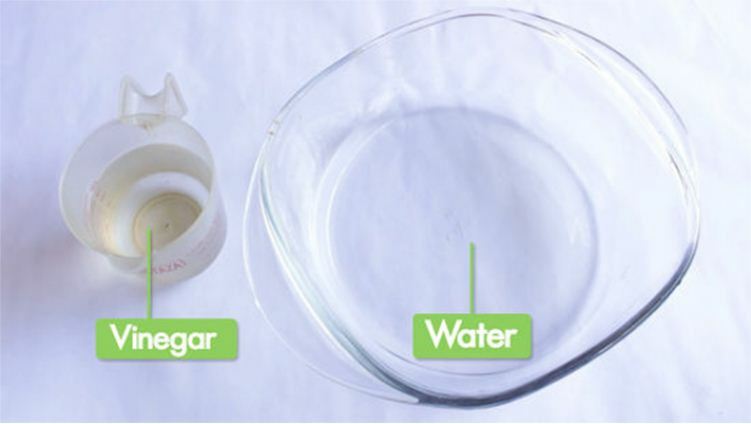 First, make a mixture of vinegar and water in the ratio that you see fit! Generally, it should be at least a 50:50 ration, but you can always increase the dosage depending on the severity of the situation. So, why do we use the vinegar? Well, the vinegar is a natural de-smeller. The main reason why the urine smells so bad is due to ammonia, a gas that is toxic in large quantities. Naturally, the pet urine won’t kill or poison you, but it will bother you; that is why you should declare war to the odor and make a mixture of (preferably white) vinegar and water! 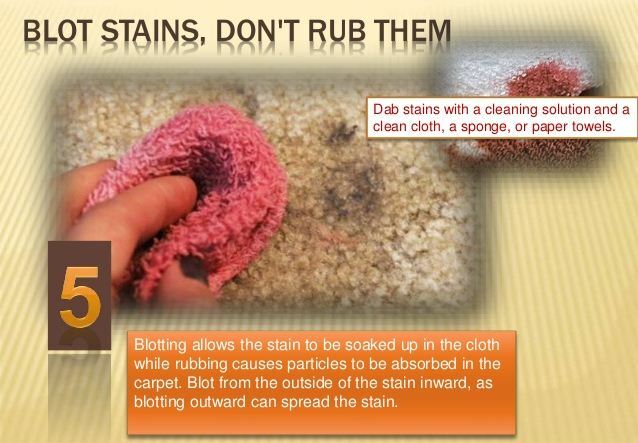 Once your chemical anti-odor bomb is ready, it is time you drop it on the stain. You can either pour it or spray it atop of the stain; we suggest that you spray it because the air pressure will help the mixture penetrate deep into the fabric. Apply as much as you see fit. After you are satisfied with your application, let it all soak for 10 minutes minimum. This method is beneficial if you want to know how to get dog urine smell out of the couch. After 10-15 minutes it is time you dry the stain soaked with water and vinegar. Again, do not rub, dab! You can use a sponge if the stain is still somewhat wet, and if it is near-dry, you can use disposable paper towels to dry it thoroughly. Once the vinegar is out of the picture, it is time to invite the baking soda to the party. Just grab a pinch of baking soda and sprinkle it across the stain. Why? Well, the vinegar was your first line of attack; it reduced the odor, but it didn’t eliminate it. Now, the baking soda is another odor remover. Once you sprinkle it across the wet stain, let it sit for 15-20 minutes and let it do its magic. Why will this work? Baking soda is an amphoteric chemical compound, and it neutralizes acidic compounds. Now, we know that pet urine (or urine in general) is mostly acidic, since dogs and cats are both carnivores, and carnivores often have slightly acidic urine. When you apply the baking soda, it will neutralize (absorb) the urine and its odor according to the laws of chemistry! While we are mostly interested in how to get dog urine smell out of carpet methods, you can use baking soda for removing other odors too! Vinegar And Water: you know the drill, right? Mix them up, only this time use a cup of vinegar on a bucket of water, and start mopping. While you at it, clean an entire floor with it! Baking Soda: you can use the “Baking Soda Strikes Back” method, or mix it with stain without adding the vinegar. Hydrogen Peroxide: you can pour the Hydrogen Peroxide on the stain and let it do its thing; it will bubble, but once it starts bubbling you can blot it with paper towels. There are other ways of using the HP, but the one we described is the easiest one. Bleach: you can mix bleach with water and start moping. If you are looking for easy ways on how to remove cat urine smell or dog urine smell of your tiles, hardwood floors, and laminate, use bleach. However, be careful with it; it can damage your skin and your floors! Being a pet owner is a beautiful thing, even though it can be a very frustrating thing. When my pets started peeing, I was very frustrated, but as the time went on, I realized that I should focus my energy on finding the cost-effective methods of cleaning urine stains and eliminating urine odor. My older pets no longer pee in my home, but my youngest kitten still does it! And that’s okay: I have plenty of baking soda, club soda, water and vinegar to combat the pet’s habits. I even bought a carpet cleaner, and now I use it quite regularly, but not because of the because; I just like the machine! We hope you enjoyed this guide, and that it will help you get the dog and cat urine out of your home! Your post is very informative. Thanks for sharing this one with us. Thank you! I will try this, currently my house reeks of urine it is awful 🙁 you’ve shined a light of hope! My boyfriend only just uses carpet cleaner from store and it doesn’t work he didn’t clean the messes up first he just added a tube of carpet foam, not at all useful. He also hasn’t ever had a dog so I don’t think he understands so I am happy I can show this to him without starting a fight, maybe he will understand. Thanks again!